Wes Ellis: Who are the Christians? It's amazing how we Christians pick and choose what makes for an essential and what does not - what constitutes Christian identity and what does not. I've often commented on the tragic irony of a Christianity which focuses on believing in Jesus but simultaneously ignores Jesus' fundamental message - the proclamation of Kingdom of God (or as I've sometimes preferred, the reign or dominion of God). Or how about the irony of focusing on the "authority of scripture" without actually doing what the scriptures tell us to do, like feeding the hungry, selling all we have and giving it to the poor, or associating with the 'least of these.' It's tragically ironic that those we might call "fundamentalists" or at least "conservative evangelicals" often believe in Jesus, but ignore the fundamental proclamation of a kingdom with a crucified king where the rich are humbled and the poor are lifted up. It's tragically ironic that some can be so passionate about the Bible's "authority," can say things like "that's not biblical," and with the same breath talk about poor people and treat them as though they're a lesser species. The God we claim to serve is a crucified God who shares God's identity with the poorest of the poor, the least and the last. A true "fundamentalist" should be someone who relentlessly proclaims, in word and deed, the liberation of the captives and the true dignity of those who have been placed, for whatever reason, on the under-side of society. Someone who really believes in the authority of scripture should, at the very least, see the poor as precious in their very being - not merely as charity cases. These things are on my mind right now, and it probably has something to do with the fact that I just got back from New York City. We went up there and spent the night with some of our closest and dearest friends from Southern California. While we were there we did a lot of commuting through the subway system and if you've ever been in the subway, you know there's quite a diversity of personalities down there at any given time. 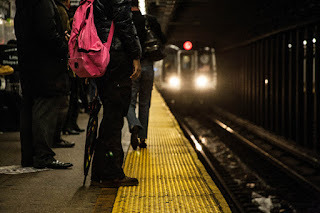 All kinds of people take the subway in New York - business people, college students, retail clerks - and many of them are not those you would describe as well-off. Many are just trying to survive the daily grind, going to work and home from work. Of course, the poorest folks can't afford the subway, but when you live in Princeton, where poverty doesn't seem to exist, it's a breath of fresh air to rub shoulders with the real folks on the New York City subway. 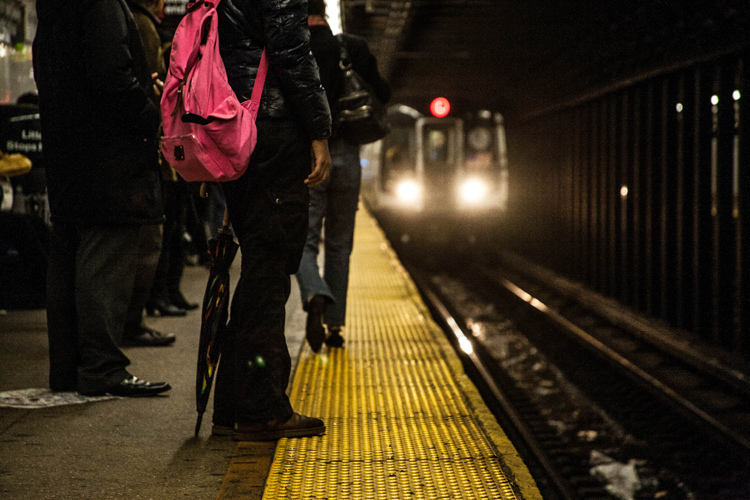 I've been thinking about these people - the folks on the subway and the people who work there. I've been thinking about who they are, what their stories might be, how courageous so many of them are as they face their daily routine. I've been thinking in shame about the assumptions I make about all sorts of people. I think about all the 'Christians' I know who wouldn't lower themselves to work those jobs or ride those rails with such dependency. I think, in awe and horror, about the crucified Jesus, who refused not to see the beauty of people such as these, and indeed humbled himself to wash their feet, who placed himself lower than these and descended even into hell for them. When I think about these people and I think about Jesus, and I think about how comfortable I am in this beautiful gift-wrapped apartment in New Jersey, I am reminded of the phrase, "fear of the Lord." It's not that I should necessarily flee from comfort or look upon my blessings with disdain, but surely I should fear my own attitude when it degrades those with whom the risen Jesus dwells. I know people - indeed I am one of them - who walk with the assumption that subway workers and grounds-crews and janitors and gas station attendants must have something wrong with them to be working such lowly jobs. I know people - indeed I am one of them - who are afraid to travel down to Trenton and walk among those who spend their lives in the city. And then again, I know a God - indeed from whom I need forgiveness - who rides the subway, cleans the toilets, mows my lawn, and sleeps in Trenton. Theirs is the kingdom of heaven... and they will be our judges. Have mercy on us, we who are too comfortable to love, we who fear and mock the ones we should adore. May the Christians be the ones who don't find it easy to believe, who refuse the "authority" of a scripture which tells us to reject others, and who relentlessly affirm the dignity of real people. I can't come up with anything to say to this other than Amen! and Thank you! Loved this post!